While my children go back and forth on their love of some foods (do you like green beans this week?) their take on pasta has always been steadfastly positive. Change the shape or change the color of the noodles and it doesn't matter, pasta is good! When it comes to sauce, however, we're back to the wishy-washy opinions. They'll go weeks eating completely plain noodles with only a dusting of Parmesan cheese. That will be followed by a week or two of asking for marinara, before going back to the plain. Can I get any more bored with this meal? That's not to say that they won't eat other sauces — for instance, Alfredo and Pesto are tried and true favorites. But who has the time and energy to purchase a cart full of ingredients and spend hours chopping, mixing, blending and cooking in order to get them on the table? Fortunately, I've been inspired this month to come up with ways to save some time and money in the kitchen by Kraft's 'Twist that Dish' initiative. Who doesn't want to take a classic and make it better, faster and/or easier? With that in mind, I walked into my kitchen, took out five ingredients and, in five minutes (possibly a little less), I had created a sauce that both kids gave a hearty thumbs up: Five Minute Alfredo Sauce! While this isn't a gourmet recipe by any means, my family has loved this sauce for a number of reasons. Did I mention that it takes five minutes to make? We love PHILADELPHIA Cream Cheese around here and, considering that it is the primary ingredient in this sauce, having that flavor combined with pasta just makes everyone happy. By itself, this Five Minute Alfredo Sauce is great. However, it can easily be a "starter sauce" that is customized to just about any tastes and preferences. Why not whip this up and add in an ingredient such as pepper flakes, sausage, bacon, mushrooms, cheese, chili powder, ham or minced garlic to make it even better? If you're looking for a way to add more vegetables into your family's meals, it's a snap to add a bag of frozen mixed veggies in with the pasta for the last few minutes of cook time. Once the pasta and vegetables are drained and you mix them up with this Five Minute Alfredo Sauce, you won't hear any complaints! ...and proceeding with your five minutes of stirring, heating and mixing. Which are then followed by a creamy, tasty sauce that is ready to be eaten or personalized precisely to your liking! Whether you whip this Five Minute Alfredo Sauce up to feed your family on a busy weeknight or dish it up when having friends over this winter, this sauce has the ability to show up in a number of dishes in an endless variety of ways! Kraft is hosting the full (and super easy) details for me, so find the complete recipe and instructions here: Five Minute Alfredo Sauce. Yum! That sauce would be a WINNER! at my house. I'd add the garlic. Sounds simple and tasty. Im the only one who likes alfredo so unfortunately I rarely get to make it. I usually buy the Prego Alfredo sauce because it tastes the best! I would love to make my own. Thanks for the recipe. I bet it tastes better than a bottle! First of all, good for you to be posting recipes for Kraft! This one looks like a winner, for sure. And I just happen to have some cream cheese in the refrigerator that's been waiting for inspiration. I thought that inspiration would come in the form of dessert, but now I'm fairly certain I'll be making this Alfredo sauce. Love the addition of nutmeg, too; ever since I splurged on a nutmeg grinder, I've been adding freshly grated nutmeg to a lot of my baked goods and white sauces. Thanks for this recipe! 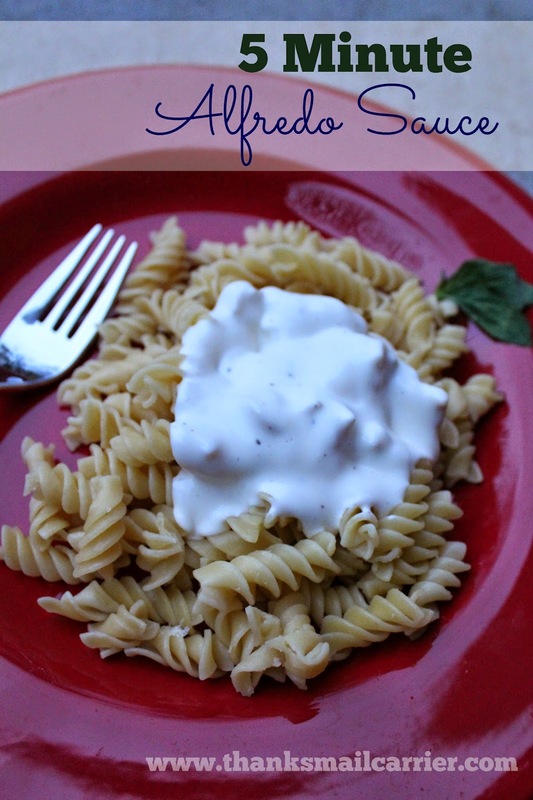 I recently discovered using cream cheese in sauces - I'd love to try this Alfredo sauce!! We love Alfredo sauce here and what a great easy, fast recipe this is. I might even make it tonight. This sauce sounds wonderful! And so simple to make! I want to add ham and mushrooms. Wow this sounds amazing and thank you for sharing. I love Alfredo sauce. Today I'd add some smoked salmon that I have. Yummy. This looks delicious! Thank you so much for sharing! I love the sauce but I have never made it myself. I have only purchased the jars. I have to try this. 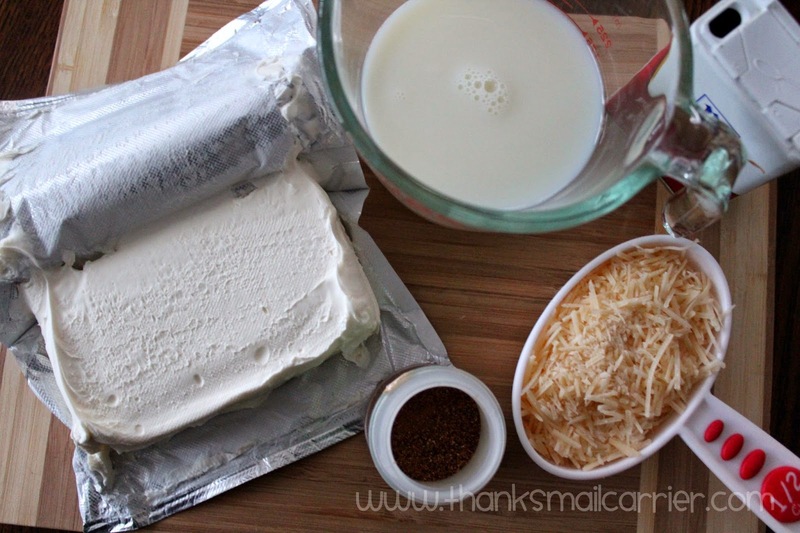 I love to cook with cream cheese and I will be trying this recipe for sure. I like to add grilled chicken to my finished dish. I can't wait to try this recipe out for my husband. This recipe looked so good, I copied it down. I am due to make this this coming weekend. I used to work at the Olive Garden, and this looks better! I thank you for the share. Sounds simple to make. And my family loves pasta. Thanks for the recipe. Wow I've always struggled with Alfredo sauce, but this method looks so easy and tasty! Thanks for the recipe! My son would give that a thumbs up too! Wowie Wowie! This looks so good. I'm gonna show this to my roommate! 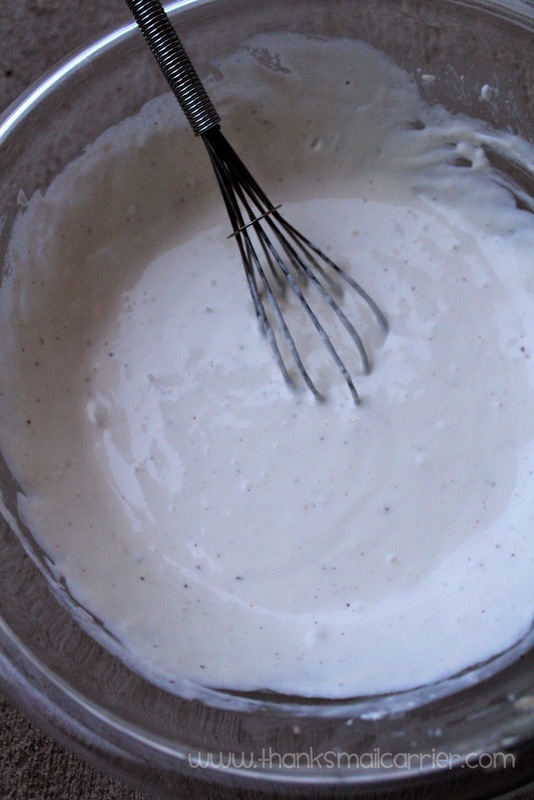 I love making my own alfredo sauce, and this one looks really yummy!